We are proud and excited to announce & launch the Global Korean Martial Arts Federation. As many know we will not be using the name ITMA anymore, and we have formed the NEW GKMAF!!! We are proud to announce that we are working with the WSCC, World Sport and Culture Commission and The IOC, International Olympic Commission and the AJJIF. 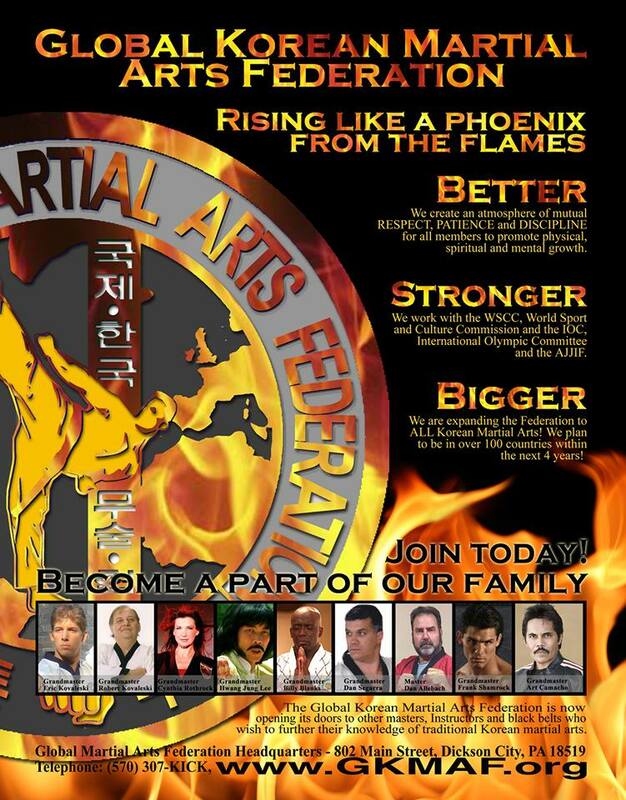 We are expanding the Federation to ALL Korean Martial Arts! KJN Robert Kovaleski , KJN Cynthia Rothrock Rothrock, KJN Billy Blanks Blanks, KJN Eric Kovaleski, SBN Dan Allebach, SBN Dan Segarra and SBN Art Camacho are all excited about the new Federation and looking forward to the expansion of our Global Family. We plan to be in over 100 countries within the next 4 years! 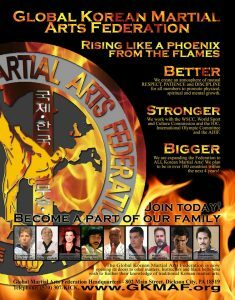 Come on and enjoy training with the Worlds Top Martial Arts Leaders and Teachers of the Korean Martial Arts. God Bless!! !